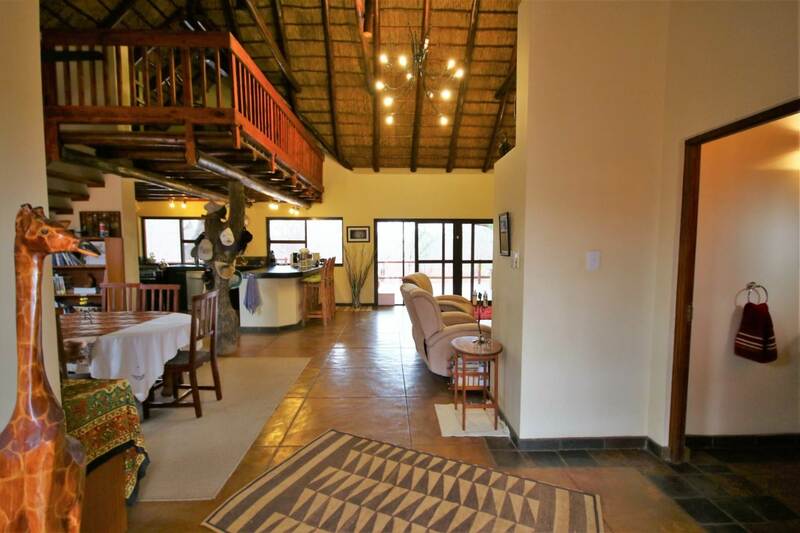 This large family home is set in the 2nd phase of the estate in a quiet and private location with a glorious mountain view. 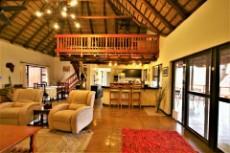 Walking through the large front door to the entrance, is a guest loo on your right and a dining area with loft on your left. 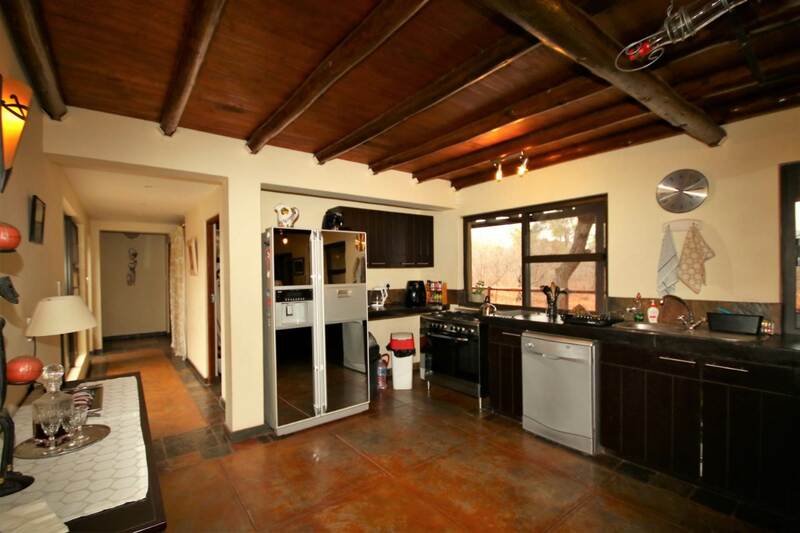 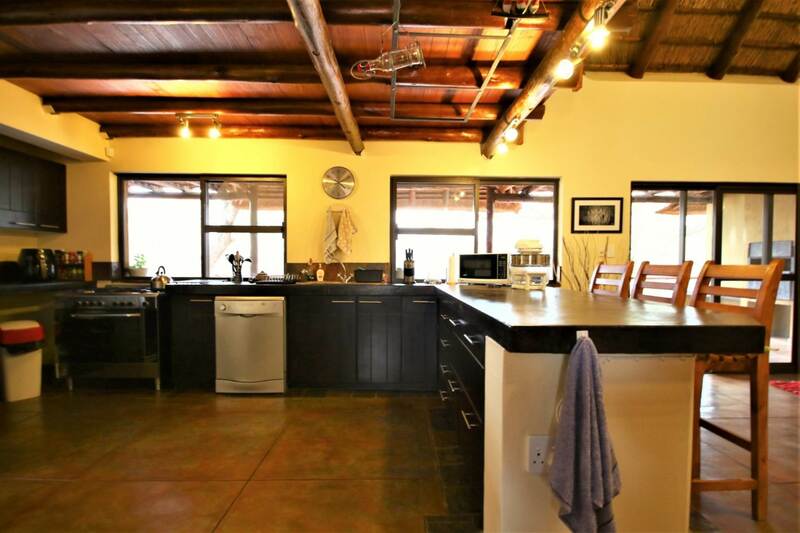 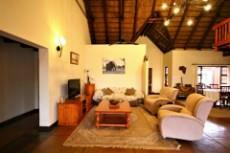 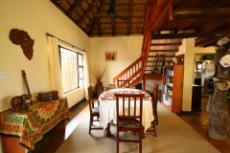 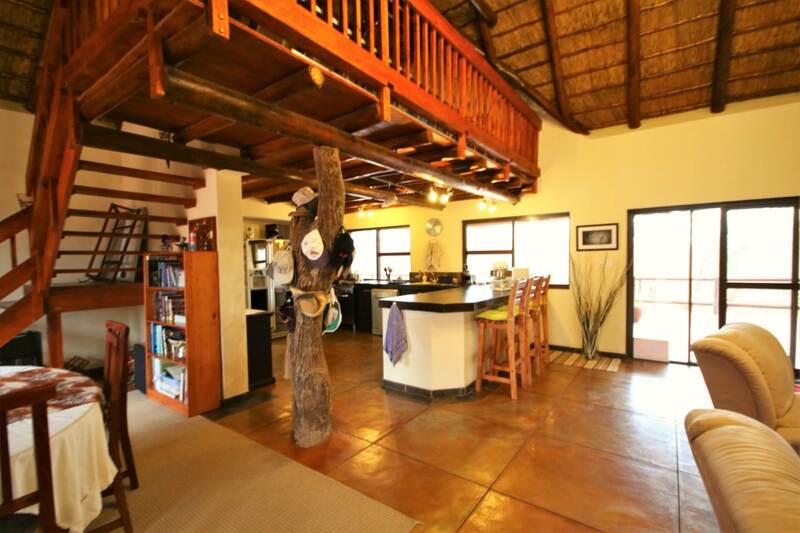 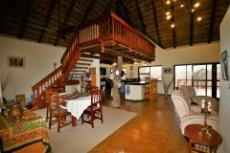 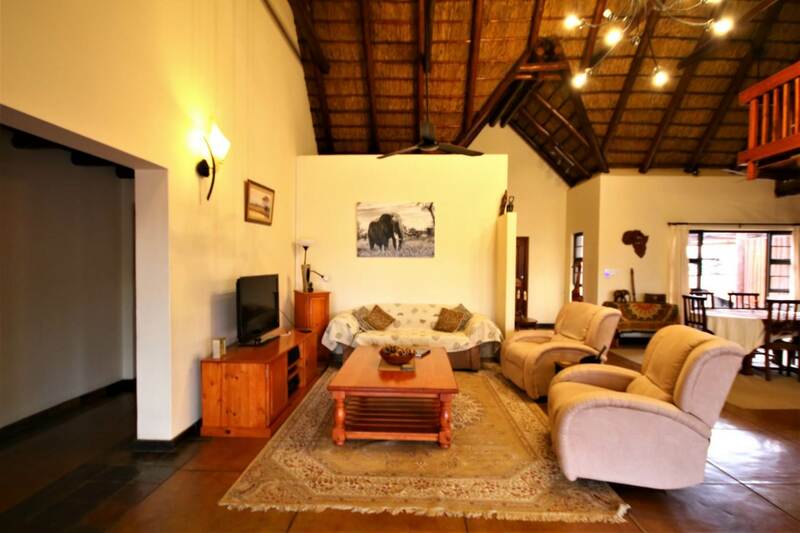 The open plan living area comprising kitchen and lounge have lovely views over the bush and onto the mountains. 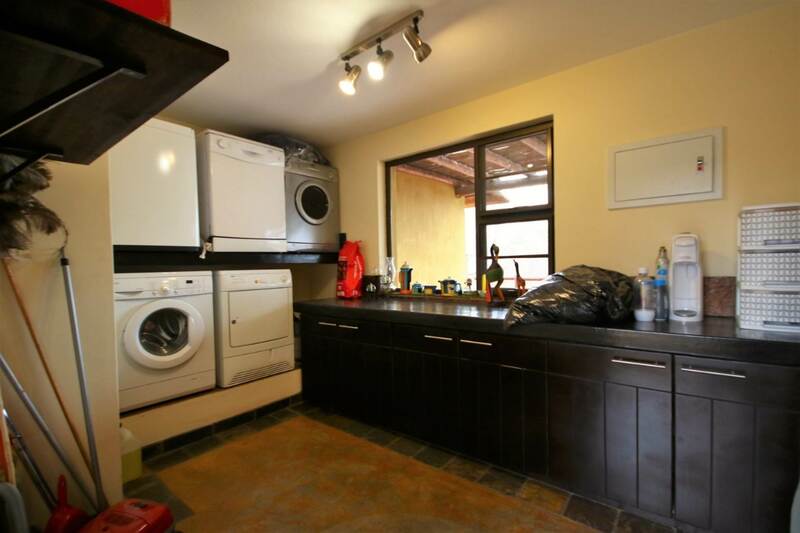 Down the passage you’ll find a laundry and outdoor courtyard. 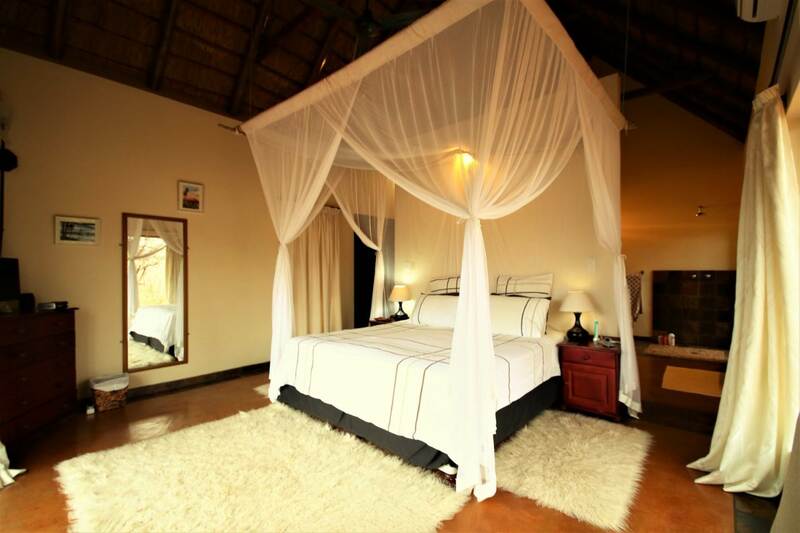 Aluminium framed doors and windows are a definite plus. 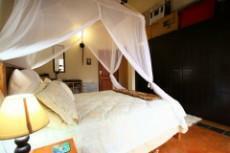 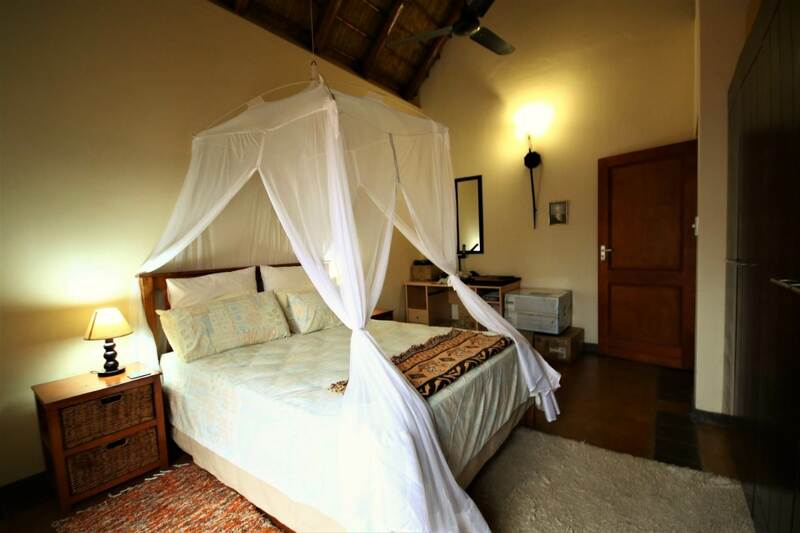 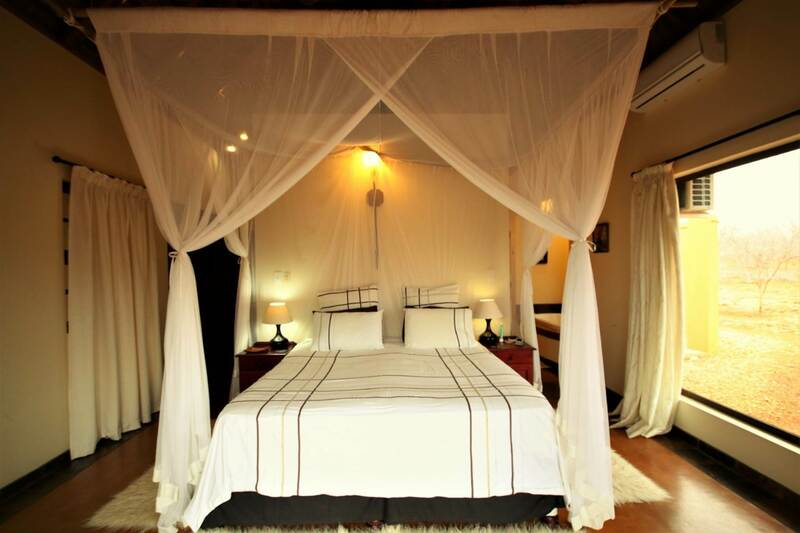 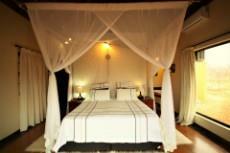 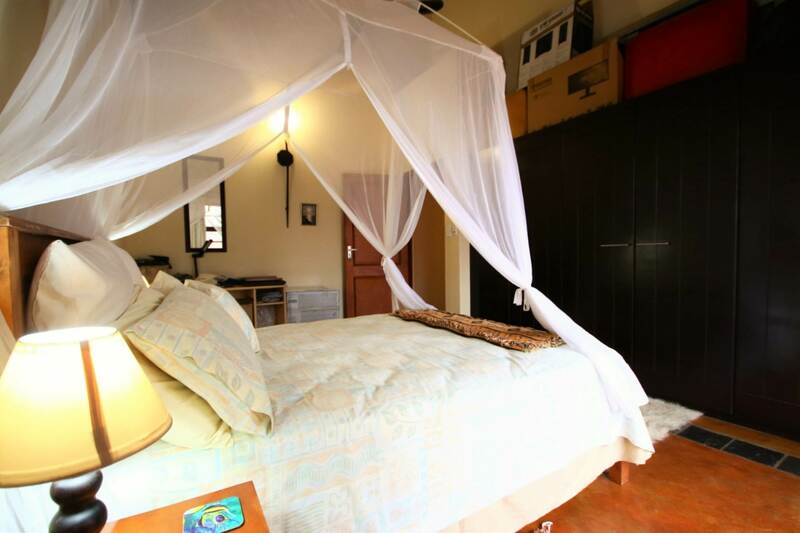 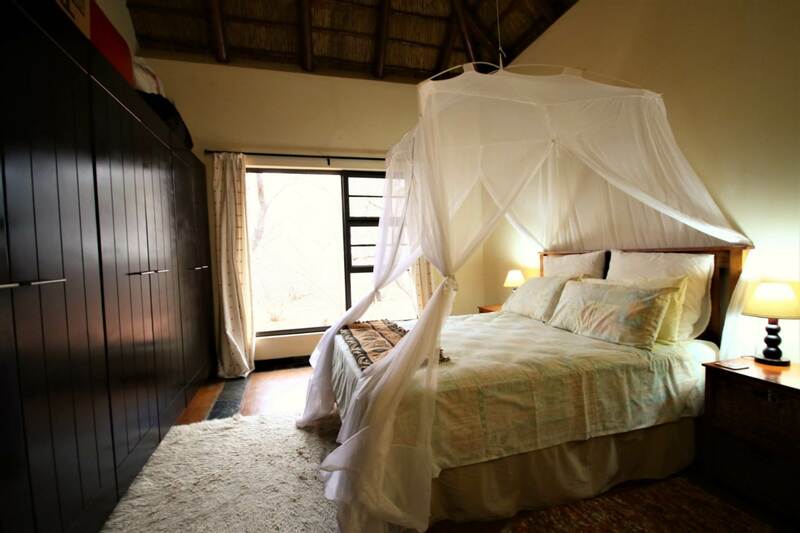 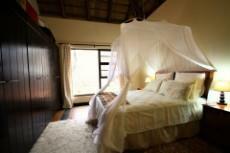 The main bedroom is en-suite with built in cupboards and a ceiling fan. 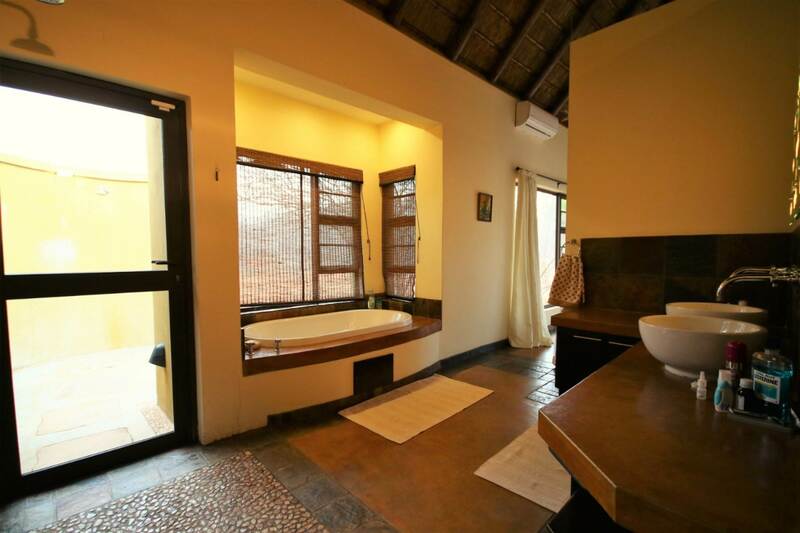 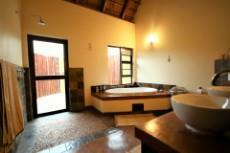 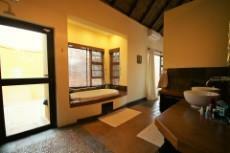 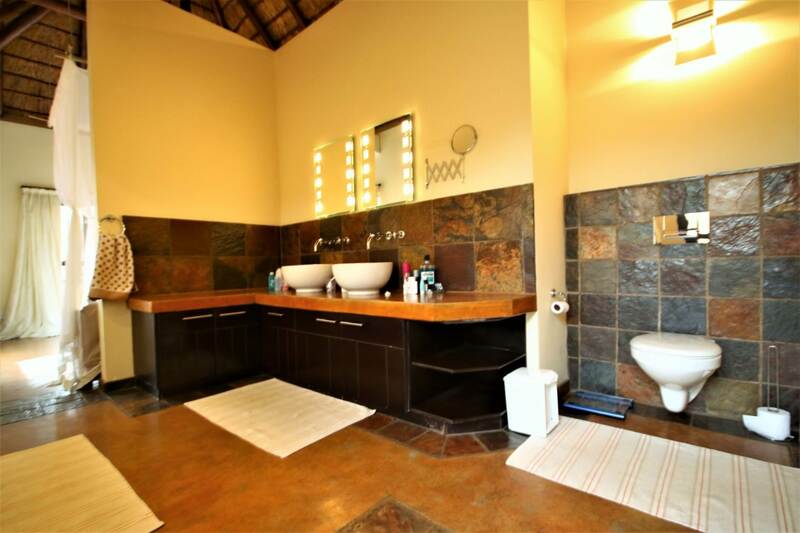 The en-suite bathroom comprises double basin, toilet, bath, indoor and outdoor shower. The other 3 bedrooms all have built in cupboards and ceiling fans. The second bathroom is made up of a toilet, bath, double basin and indoor/ outdoor shower. 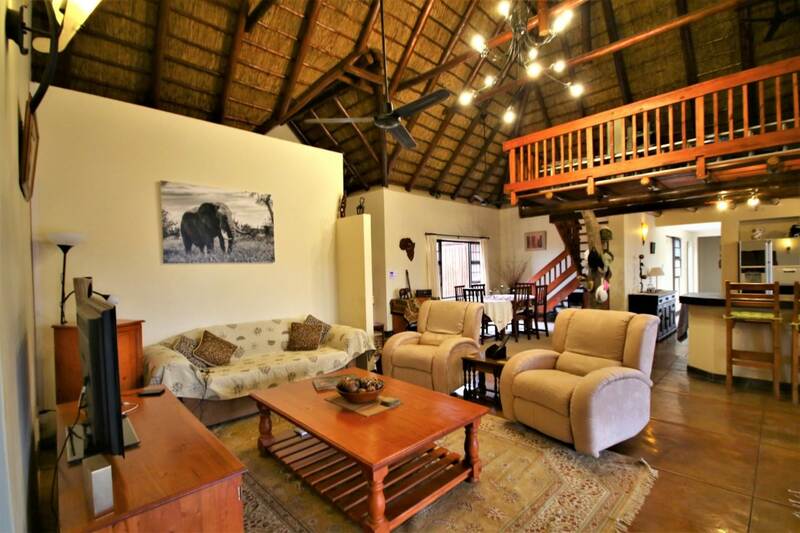 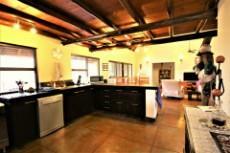 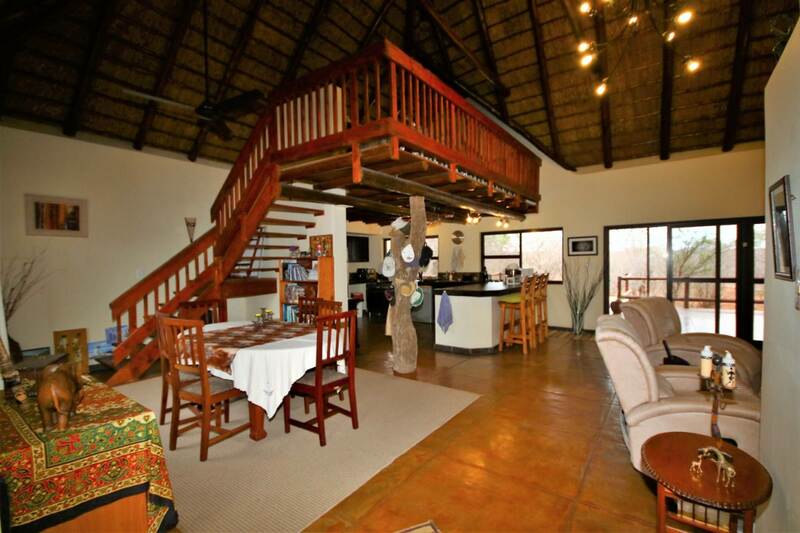 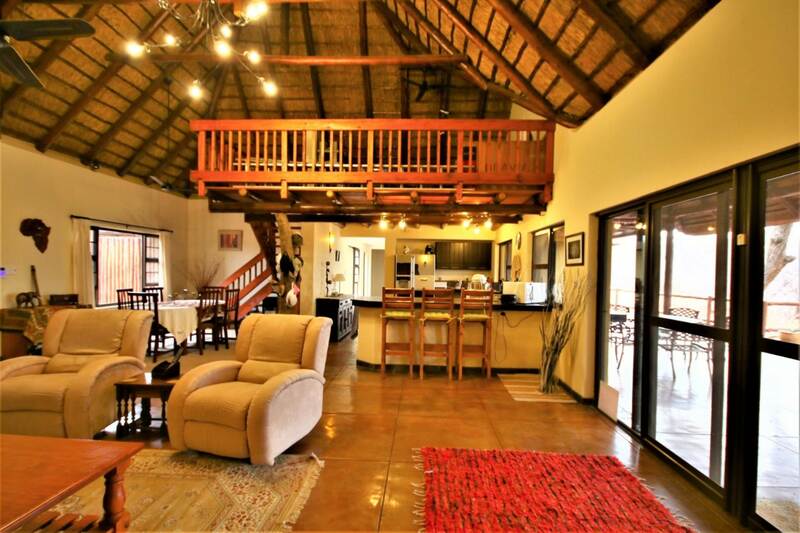 The large covered patio with pool, looks out onto wonderful bushveld and mountain views. 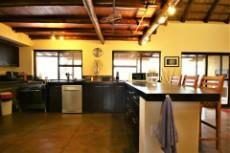 A double carport completes the extent of the property.